Tasting Australia attracts some of the best chefs from around the world, but a lot of top talent already lives in South Australia. Here's where to catch local chefs flying the SA flag in the CBD for Tasting Australia 2019. With all the humility one might expect of the country’s fifth-largest city, Adelaide has slowly but surely been asserting itself as the culinary epicentre of Australia. Every year, Tasting Australia gives our professional chefs, diners, drinkers and the general populace the opportunity to reflect on how far we’ve come and where we sit when compared to the rest of the world. If you’re as proudly parochial as we, you’ll want to know exactly where in the CBD our state’s best chefs are popping up for the annual culinary cacophony, and so below we’ve listed (from least to most expensive) all the events where you can experience the skill and dedication of our local chefs, alongside those visiting from further afield. There is guaranteed to be some super tasty pizza at this very accessible (price-wise) event, featuring two local legends: The Salopian Inn’s Karena Armstrong, and Shōbōsho’s Adam Liston. Karena has been a regular fixture at CBD events like CheeseFest, Ferment the Festival and, of course, Tasting Australia, but CityMag‘s fondest memory of the chef is meeting her at a Mullawirrapurka Rymill Park public barbecue where she prepared pork san choy bou; and Adam Liston has been a very welcome addition (return?) to the CBD since he came back to open Leigh Street favourite, Shōbōsho, before expanding his influence to The Pot, following Emma McCaskill’s exit (now under the stewardship of Max Sharrad). For Quattro Formaggio, Karena and Adam will join visiting chefs Garima Arora of Gaa in Bangkok and Antonia Klugmann from L’Argine a Venco in Italy, slinging pizzas at what is being billed as “a pedestrian pizza party,” (which is surely underselling it). Purveyor of fine South Australian food and wine, The Stag Public House is hosting an upmarket schnitzel party and CityMag is keen. 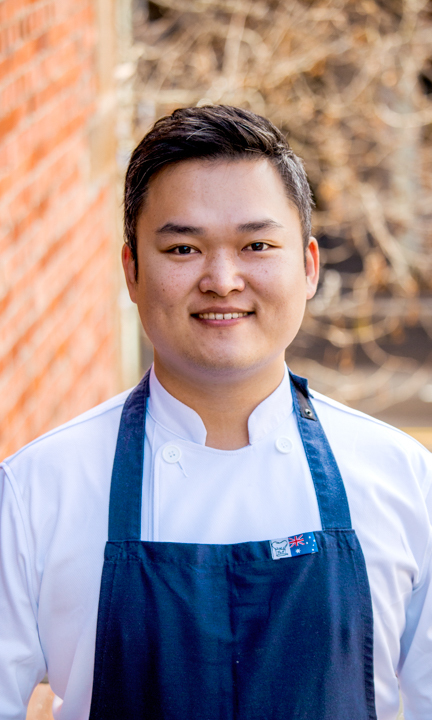 There is an all-star lineup of locals on board to shake up the pub classic, including Poh Ling Yeow of Central Market favourite Jamface, Jessie Spiby of Bowden’s My Grandma Ben, Blake Drinkwater from Charlick’s on Vardon, Saskia Beer who, with a surname like that, needs no introduction (but just in case, here you go), and Matt Eustis, the recently inducted head chef of The Stag. Our good friends at InDaily revealed what we can expect on the day, and Jessie wins the day for the hottest take, as she’s spruiking dual options, both likely to give schnitzel purists and aneurysm: a crunchy herbed panko-crumbed carp schnitzel, or, for vegetarians, a crispy sweet potato and potato rosti with spicy harissa yogurt, and Moroccan chickpea salad with pomegranate and pistachio. Poh and Saskia’s offerings are less controversial, but still sound delicious – a Terrarossa Beef rump with anchovy cream sauce, rosemary salted fries and lemon-dressed bitter-leaf salad (dubbed the Love Hate Schnitty), and a free-range corn-fed chicken parmi with buffalo mozzarella, Alnda Farms heirloom tomato sauce and basil, served with mashed potato, respectively. Local brewers from Mismatch, Little Bang and Pirate Life will also be involved, pouring beer from behind the bar, and a great list of local wines will be available, as always. 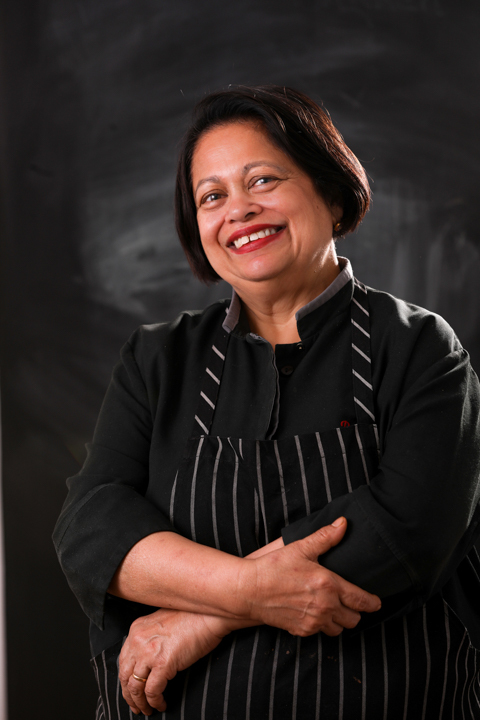 A lot has changed in our local dining culture since Ragini Dey came to Adelaide in 1982. The city she remembers being welcomed into was one where dining out was reserved mostly for special occasions and the local exposure to Indian food was minimal. In 2019, people are undeniably eating out more often and Indian food has certainly become more prevalent – name one suburb in Greater Adelaide without a superb local Indian restaurant – but there are still some misconceptions about the cuisine. In Mumbai to Adelaide, Ragini will chart the progress of Indian food in the Adelaide context and how it has evolved to meet local and global dining trends, and, in some instances, how the trends have morphed to fit the traditional Indian palate. Meeting at the axis of delicious and informative, the night will start with Ragini’s take on butter chicken – a dish that, when done correctly, should highlight India’s strong barbecue culture – the historical context of vindaloo (more Portuguese than you might have thought), and will progress through to her modern inventions, including a glimpse at the star dish of her upcoming restaurant, the naancho. For more on the event, read our profile on Ragini. We know you love dumplings because you’re human. And because you’re human and therefore, like us, flawed, your dumpling-making technique could probably use some work. If this is the case, Level One’s head chef Josh Kim, is presenting a masterclass – just for your benefit – on the art of the dumpling. Guests will be taken through the ins and outs of four different dumpling techniques, paired with a Hills-centric drinks offering: beer from Mismatch and wine from Sidewood. The event listing assures that “the menu will consist of wontons, dumplings, spring rolls and Kimchi Mandoo each intricately created and using unique and delicious ingredients,” and a vegetarian menu will also be available. Since moving to the 2KW rooftop, chef Trent Lymn has made a point of doubling down on the restaurant and bar’s local and sustainable attitude. 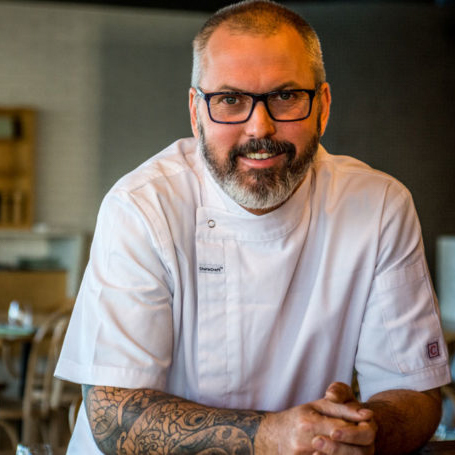 CityMag saw first hand the relationships Trent has fostered when we visited Nature’s Chickens with the chef to chat with local Hills producer Carey Schultz and see the origins of the chicken dish favoured by ‘Tiser reviewer Simon Wilkinson. Fish Tales will showcase another South Australian supplier Trent works with closely – Fair Fish SA (which you might remember from that time they took us out on a boat). The business has had quite a bit of attention recently, being recognised in the Delicious Produce Awards for their community subscription scheme that allows restaurants and consumers to connect directly with local fisherman to purchase their products. The dinner will consist of five courses, local wine, all prepared and presented, undoubtedly, immaculately. If brunch is more your deal, Trent will also be preparing an Adelaide Hills-focussed event called Let’s Brunch, hosted at 2KW on Sunday, 14 April at 10:30am. By now, Paul Baker, the head chef at the Botanic Gardens Restaurant who also taught us a thing or two on an Adelaide public barbecue, has no doubt acclimated to his newly renovated restaurant, and now is the perfect time for you to visit and take in the renewed views and spectacular fare, as Paul works alongside the chef who brought a Chef Hat Award to King William Road, Emma McCaskill, and visiting chef Victor Liong, from Lee Ho Fook in Melbourne. “Every course will have a connection to the gardens just as we do at BGR everyday,” Paul says. “The food will be a blend of shared plates from Victor, whose modern take on Chinese food is unparalleled; Emma’s Indian heritage will be on show with her paratha and dhal butter; and I will be kicking off the night in the Museum of Economic Botany, with snacks and drinks from 6pm. 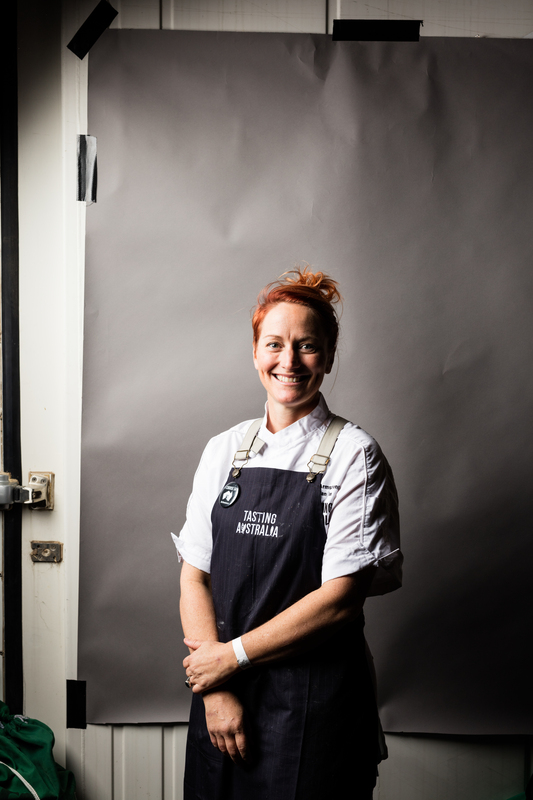 You can also catch Emma popping up at another event: East Meets West, part of the Glasshouse Kitchen series of dinners, at 7pm on Friday, 12 April. She will cook alongside international import Chiho Kanzaki of Restaurant Virtus in Paris, Alex Munoz from Labart in Burleigh Heads, and Tasting Australia’s festival director, Simon Bryant. Quite a turn from her appearance at the Stag’s Schnittfest, Jamface’s Poh will be offering her take on spice for this Glasshouse Kitchen dinner, alongside Janghoon Choi, whose restaurant group Plus 82 is slowly taking over the city (Pocha and Pocha Lite in the East End and MiMi and Gogi in the west). Spice will also feature travelling chefs Garima Arora of the Michelin-starred Gaa in Thailand and Paul Carmichael from three-hatted Sydney restaurant, Momofuku Seiōbo, and will be matched with wines curated by the collaborative powerhouse of East End Cellars and Tasting Australia’s beverage director, Nick Stock. Tasting Australia’s Coast dinner, part of the Glasshouse Kitchen series, will be a celebration of “the fare of river and sea,” and will showcase South Australia’s world-famous premium shellfish, unique coastal plants, and fish sourced direct from the fishers. Local chefs Jessie Spiby from My Grandma Ben and Kane Pollard from The Topiary will each plate up their take on the aquatic theme, alongside the tourists Philip Rachinger of Restaurant Muhltalhof in Austria, and Amy Hamilton of Liberte in Albany. You can also expect perfectly matched wines curated by East End Cellars and festival beverage director Nick Stock and stellar service from the Glasshouse Kitchen team. The time-honoured tradition of the Sunday roast will be taken up a notch at the Glasshouse Kitchen event named for the hearty weekend revival dinner. The local chefs on the pans in this edition are executive chef of Mayflower Restaurant at the Mayfair Hotel Bethany Finn, who, according to InDaily, has a history of reviving the classics; and James Brinklow, the head chef at The Lane, who recently celebrated a decade at the Adelaide Hills institution. Bethany and James will be accompanied by out-of-towners Manoella Buffera of Manu in Brazil, and Mat Lindsay of Ester and Poly in Sydney. As you might have guessed, the dinner will be accompanied by wines matched by the in-the-know team of East End Cellars and the festival beverage director, Nick Stock, plus a KI Spirits cocktail to start. It’s not a Sunday roast without a glass or two. Quentin Whittle has been behind some great grub throughout his time in the industry, developing a cult following in the early years of brunching at The Stranded Store in Colonel Light Gardens, then at Stone’s Throw in Norwood, before opening his first CBD venture, Herringbone, last year – and he’s yet another chef to accept our public barbecue challenge, to great effect. Joined by Strathalbyn chef Simon Burr of Olfactory Inn, and two ring-ins from further afield – Poul Andrias Ziska of the Michelin-starred KOKS in the Faroe Islands and Ali Currey-Voumard of Hobart’s The Agrarian Kitchen (a “Tasmanian fantasy” according to the New York Times) – Fire will be a dinner that ruminates on the theme of flames and charcoal. In addition to the drinks curated with care by East End Cellars and the festival beverage director, Nick Stock, the night will start with a KI Spirits cocktail, so settle in for a good night. Emma and Lachlan will be cooking next to Shinobu Namae of the two Michelin-starred Tokyo restaurant L’Effervescence (and who also has an impressive history in kitchens around the world: Laguiole in France, Hokkaido in Japan, The Fat Duck, England) and Peter Gilmore of Quay in Sydney. Special guests Guy de Rivoire from Champagne Bollinger will be in attendence, presenting the Bollinger La Grande Annee 2007, which will be matched to one course, with the rest of the evening paired by East End Cellars and festival beverage director Nick Stock. At the opposite end of the dollar spectrum to her appearance at Quattro Formaggio (see above), Karena Armstrong will also be taking part in Tasting Australia’s Glasshouse Kitchen series with Wild, where the chefs in attendance will be exemplifying their “bold, honest and brave” cooking. “These chefs will not be defined, nor will they refrain from showcasing their passion for good food,” the Tasting Australia website says. Karena will not be the only local on the lineup – The Summertown Aristologist’s Oliver Edwards (who showed us how to make bread and friends last year) will represent his Adelaide Hills locale, and the two will be working in tandem with Brazilian chef Alex Atala of D.O.M., and O Tama Carey of Lankan Filling Station in Sydney. Beverages, once more, will be presented by East End Cellars and festival beverage director Nick Stock.